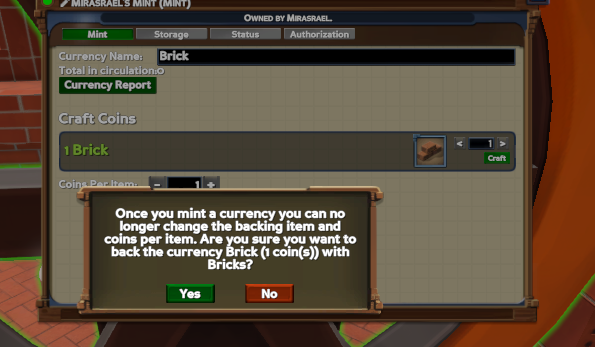 Players can offer loans, or bonds (which are the inverse of bonds - people buy a bond from you and you pay them back with interest later). 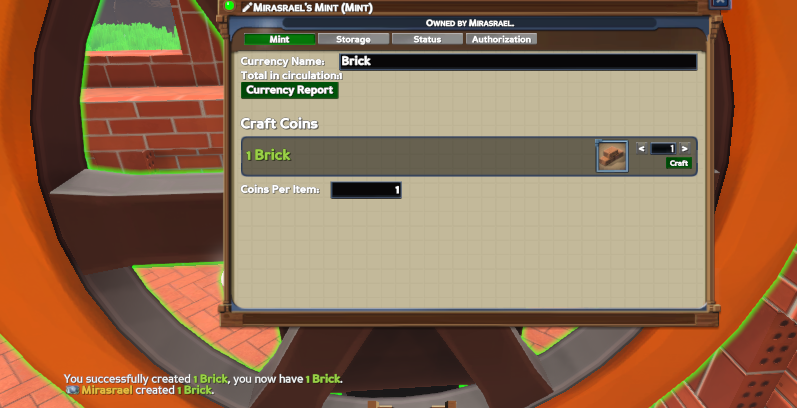 After Currency created (and first coins emitted) you're not able to change "Coins per item"
Laws can now reference total currency in circulation, as well as treasury balance, in addition to just the acting player's currency balance. Added support for conditions on the "number of players" value. For example: "when attempting to gain skill Cooking, if (number of players where (level of Cooking > 0) > 3) prevent"
Added actions "Plant", "Remove Stump", and "Harvest Leaves" to laws and stats. Indirect ways of killing plants are now counted as "Harvest" actions. This includes things like shoveling or plowing the dirt under a plant. This only applies to living plants. Removing a dead plant does not count as a "Harvest". Tailings now produce reduced pollution at lower depths instead of a hard cut-off at 10. Deforestation causes very slight air pollution. Air and ground pollution spread further and dissipate slower. Air pollution now creates more ground pollution in areas with high rainfall. The CO2 consumption of plants have been modified to fit with new air pollution values. Ramps are no longer objects but blocks, and can be built in 1-wide increments. 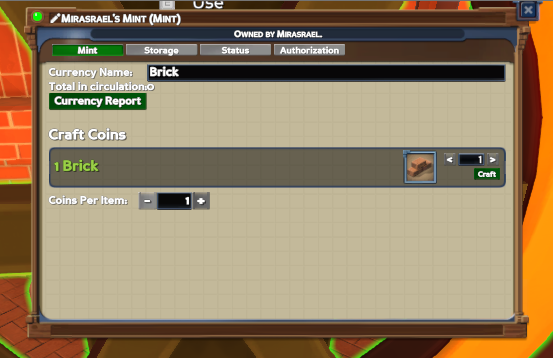 Actions "Pick Up" and "Place" now support world objects, in addition to blocks. The "Pick Up" action now supports mining and picking up rubble. The "Pick Up" action also supports picking up "Wood Pulp", which is what "tree debris" is now called. Added a new introduction story sequence! Appears when you first look at the meteor for the tutorial. Revamped the pullouts on the minimap. Everything is in one settings pull out now, which has been updated to the new visual style. 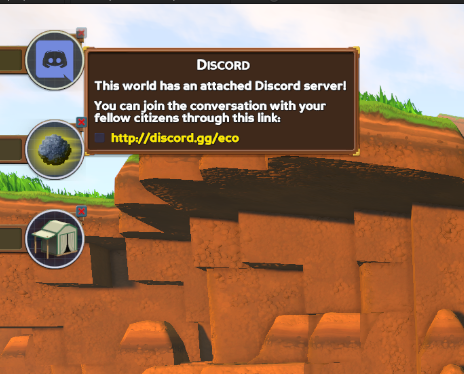 World layers (now titled "Environment Data") have been changed from a drop down to a scroll box, with layers grouped into categories. Fixed doors counting as T0 materials. Fixed an issue with storage links on electric tables. Fixes a break in the tutorial sequence.